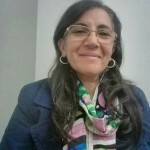 Graduate studies in literature at the French Department of the University of Alexandria and a Trainer of Trainers Degree from the University of Besançon (France), Soha Wakim has developed a rich and varied experience in the fields of education and training. Rasha Rashad is an ingineer and manages a section at P&G Egypt (Pampers). At Art and Life project, she works as a volunteer and she is in charge of photo documentation for all the workshops and activities. Shennawy was born in Cairo in 1978 and studied fine arts with a specialization in advertising. As a teenager, he developed a passion for comics. 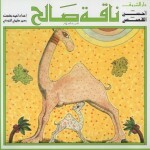 Then he began his career drawing for Ala el-Din magazine at the beginning of 2000’s, then he worked in advertising. Sharif el-Sayed is a graphic designer, born in 1972 in Alexandria. Since 1998, he has been working in Arab Academy for Science, Technology and Maritime transport, as a digital art director. He seeks in his work to combine the possibilities of the digital tools with the social cultural issues.